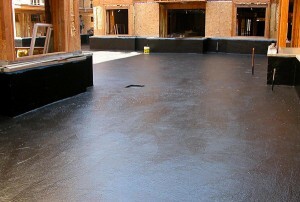 We install a wide range of Below Grade Waterproofing Systems. Please see below for further details. For a quote or more information, please Contact Us. 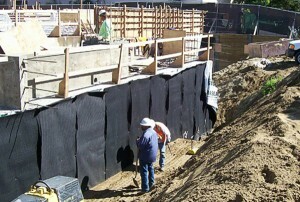 Typical uses: Below Grade walls, planters, planter boxes, between slab waterproofing, etc. 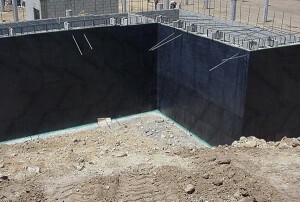 Typical uses: Below Grade walls, planters, planter boxes, between slab waterproofing, lagging, blind-side waterproofing, etc. 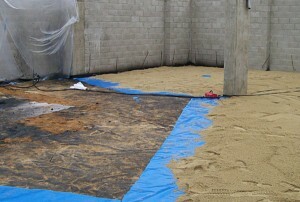 Typical uses: Vapor barriers are typically installed on the dirt before pouring the first floor concrete slabs. 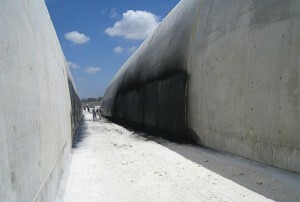 These barriers prevent moisture from migrating up through the slabs.